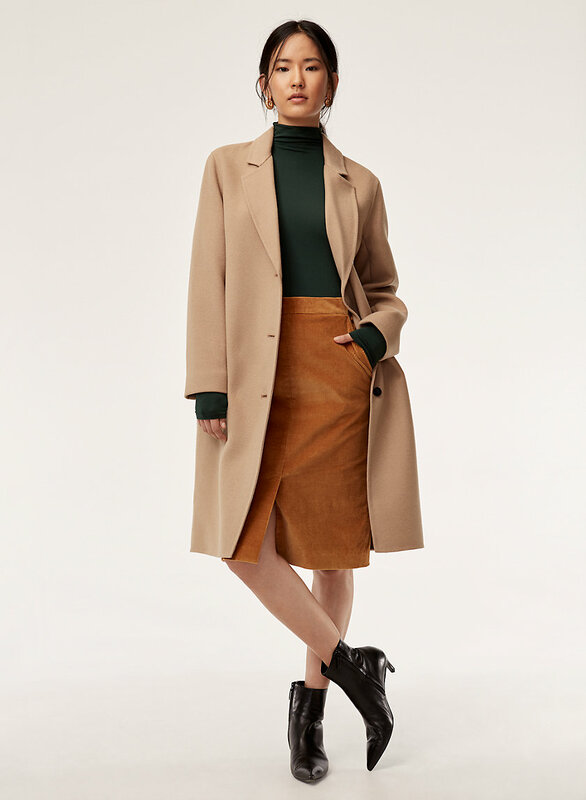 Styled with toby skirt and william jacket . 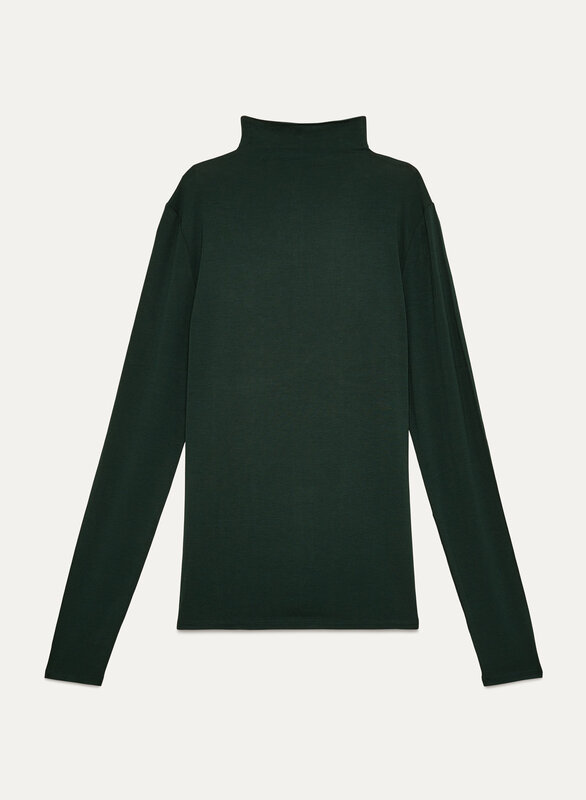 This slinky funnel neck is made with a luxe stretch jersey that works in every season. The soft texture feels great and layers just right. 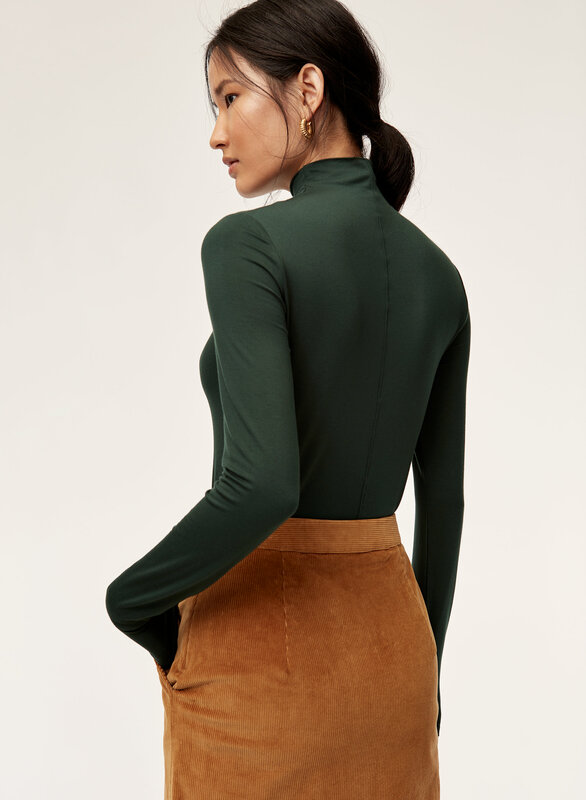 I am so happy that I have come across this brand, as it is challenging for me to find long sleeve tops that fit me properly, due to my very long arms. This top fits me so well, and looks fabulously chic. It fits the same all day long. If I were to push my sleeves up it doesn't loose its shape, or fit when I push them back down. I have five of these tops now, and will purchase more. I now have two of these - every woman should have one of these. Fits great tucked in or out, sleek, tailored, flattering. LOVE this!